Daniel Sundahl, a former paramedic from Alberta, will be in Prince Albert on Saturday as part of the PTSD/OSI Awareness Conference at the Prince Albert Travelodge. Sundahl uses art and creativity to help work through PTSD. © Painting by Daniel Sundahl. 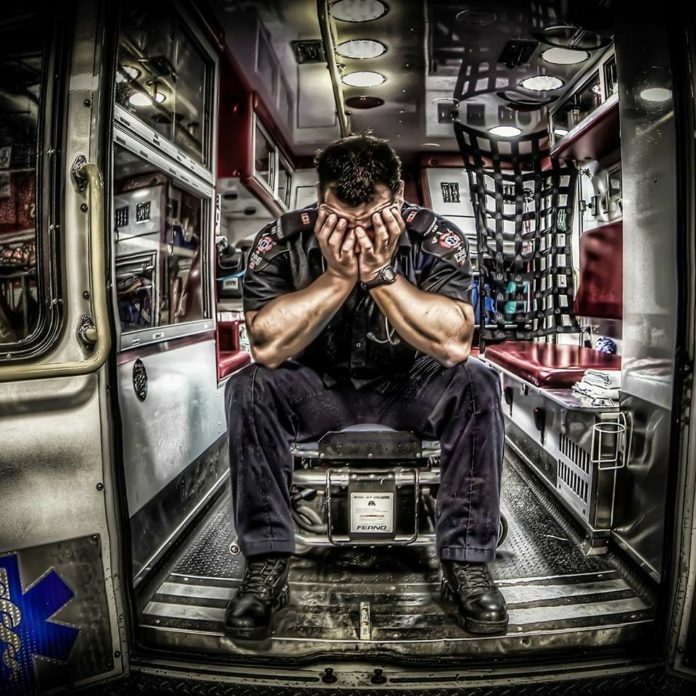 For more than 20 years, Karyn Steinke witnessed first hand the difficulties post-traumatic stress disorder (PTSD) or occupational stress injury (OSI) can cause paramedics. This weekend, she’s hoping local emergency service workers will get the tools and the support they need to fight it. Steinke, an advanced care paramedic and owner of KPS Medic, is organizing a conference in Prince Albert to help educate paramedics about the issue, and ideally give them the confidence to speak out and seek help. “Our goal is, at the end of the day, that they can take from (the conference), maybe some strategies, some techniques that might work for them to, number one, identify PTSD and occupational stress injury, and also help them to start dealing with it,” Steinke said. This is the first time KPS Medic has ever hosted a conference about PTSD, and so far the response has been overwhelming. Originally, Steinke capped event registration at 50 people, but after those spots quickly filled up she threw the gates wide open.